Father who stays in US, comes to spend his vacation with his daughter and son in law but is unaware that she has been ditched. This prompts his friend to hire a man to play the role of her husband for the time being. Kalyani (Played by Renjini) decides to marry her boyfriend against her father's (Poornam Vishwanathan) wishes. But her boyfriend ditches her when she comes to know that she would be disinherited. Kalyani's father, Ramachandra Menon, who stays in US, is unaware of the ditching and comes to spend his vacation with his daughter and son in law. 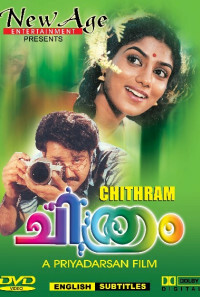 This prompts Kaimail (Nedumudi Venu), who takes care of Kalyani to hire Vishnu (Mohanlal) to play the role of Kalyani's husband. But Kalyani's cousin, Bhaskaran (Sreenivasan) is aware that Vishnu is not Kalyani's husband and tries to inform Menon about the truth with proof so that he can inherit Menon's wealth. Meanwhile Vishnu and Kalyani never get on well and keeps on fighting. But later she develops an affection for him and wishes that she could marry him. But the arrival of a mysterious stranger (played by M G Soman) takes the story to a different turn as it unfolds Vishnu's past. Regions are unavailable for this movie. 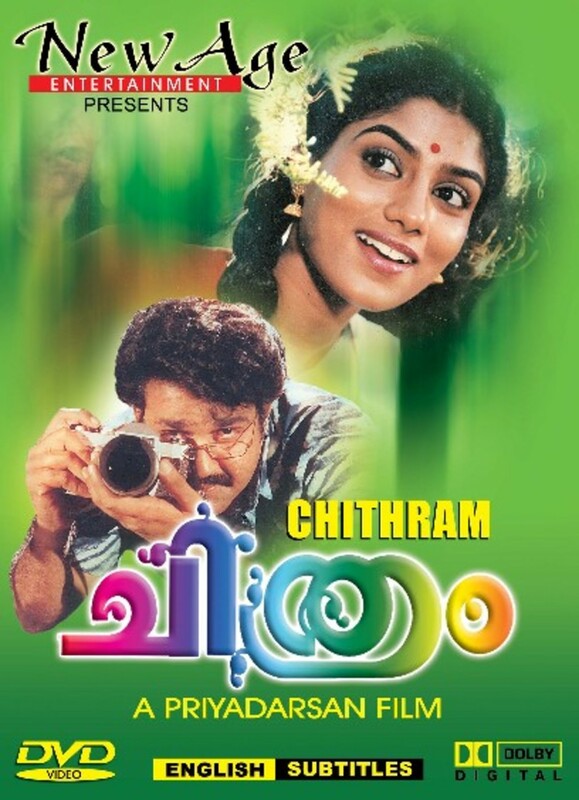 Click the "Watch on Netflix" button to find out if Chithram is playing in your country.